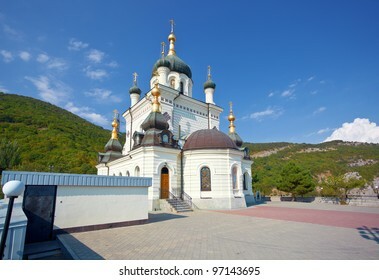 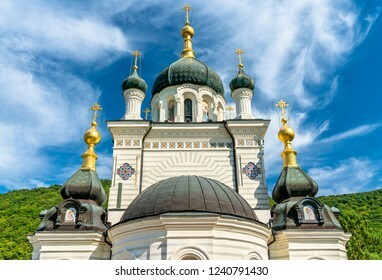 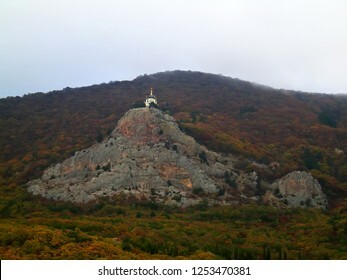 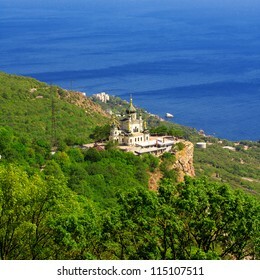 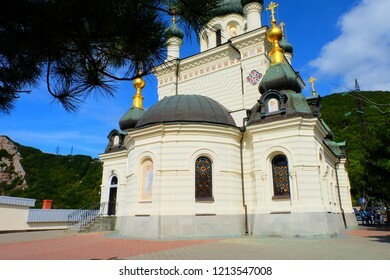 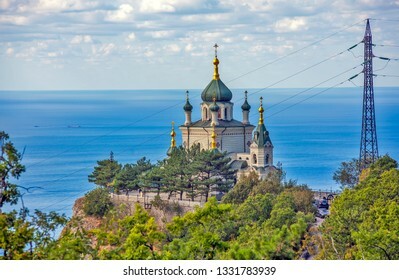 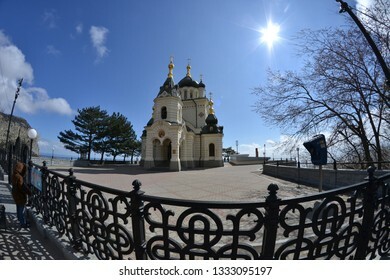 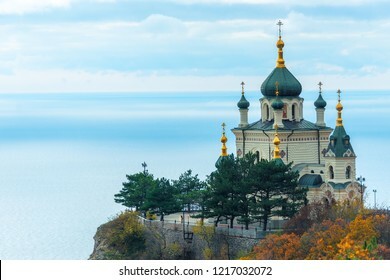 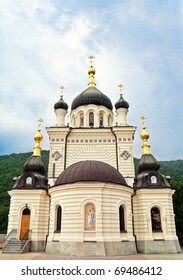 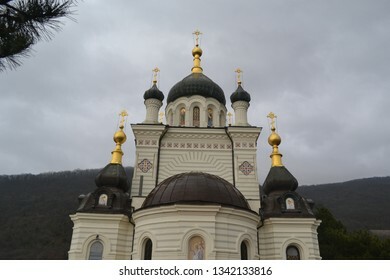 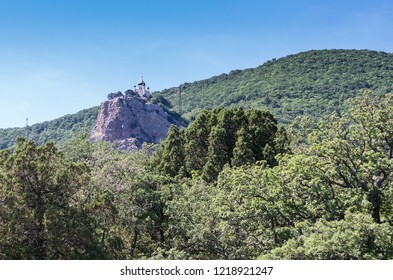 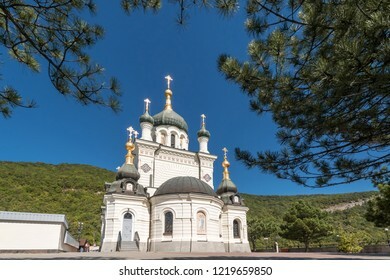 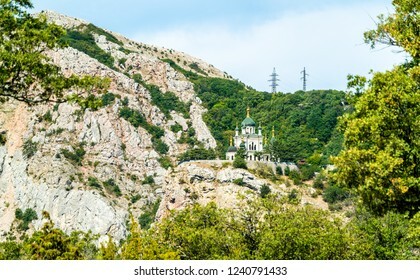 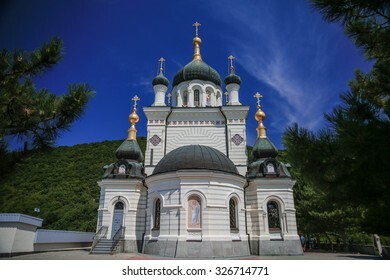 380 foros church crimea stock photos, vectors, and illustrations are available royalty-free. 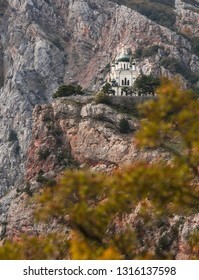 Church of the Resurrection of Christ, Foros, Crimea, Ukraine. 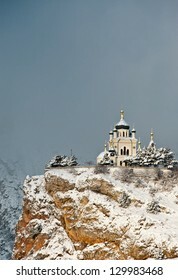 Artistic photo. 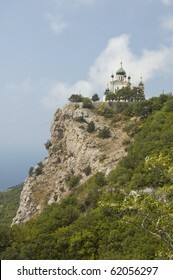 Standing alone in the mountains Orthodox Church. 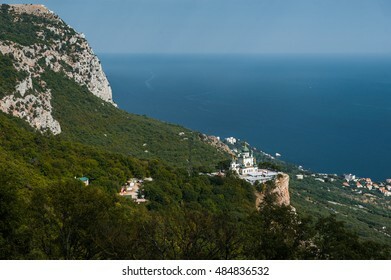 Ukraine, Crimea, Foros. 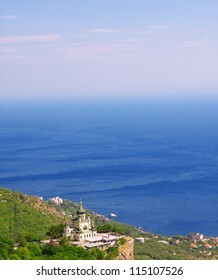 Panorama of Foros. 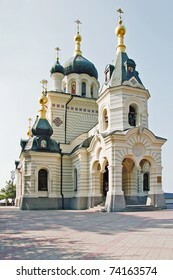 Foros Church. 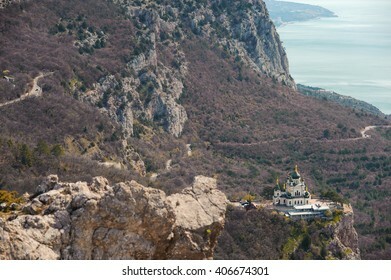 View from the top.Crimea, Ukraine. 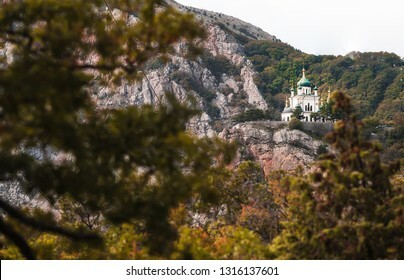 View of Foros Church, also known as The Church of Christ's Resurrection, and Foros Mount from road through the autumn forest. 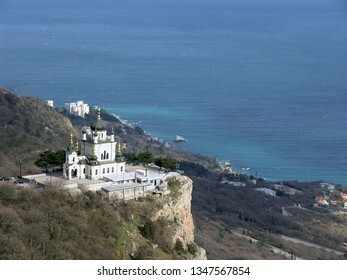 It's a popular tourist attraction on the outskirts of Yalta in the Crimea. 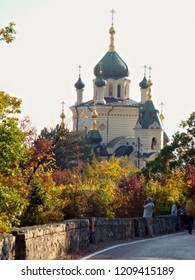 View towards Foros Church, also known as The Church of Christ's Resurrection, from road through the autumn forest. 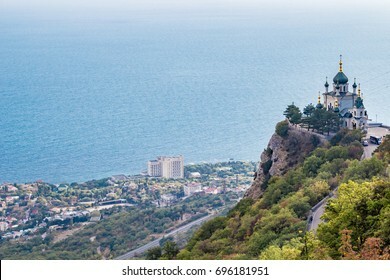 It's a popular tourist attraction on the outskirts of Yalta in the Crimea. 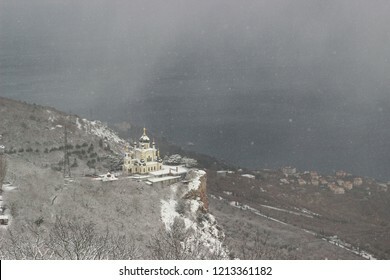 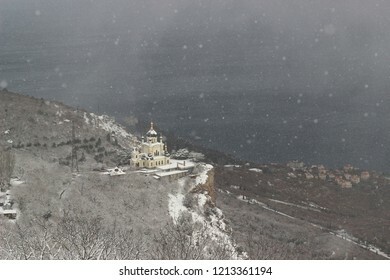 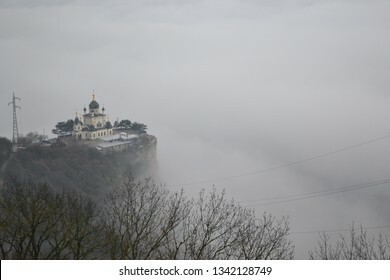 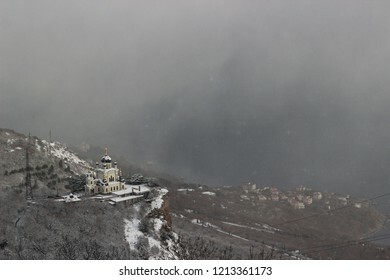 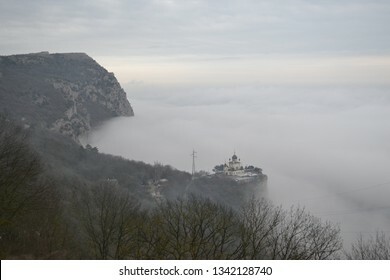 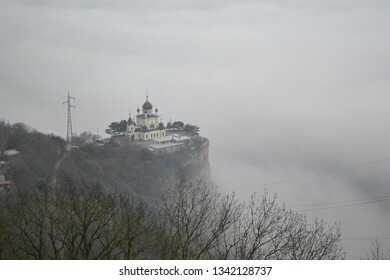 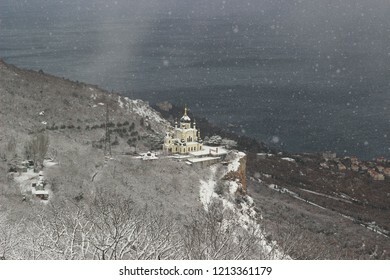 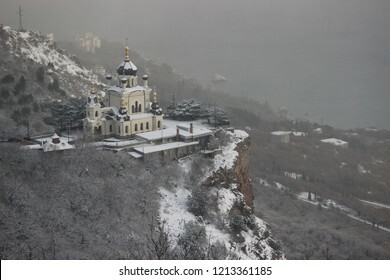 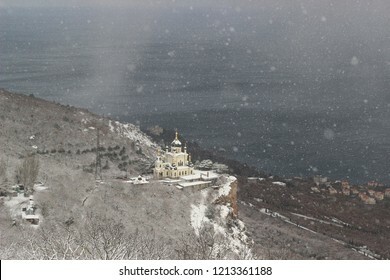 Crimea, Foros - December 2015: fog surrounded the church on a cliff. 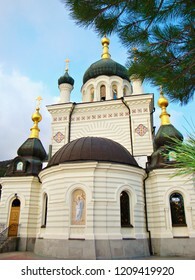 Church of the Resurrection of Christ in Foros. 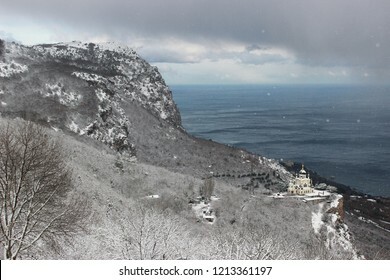 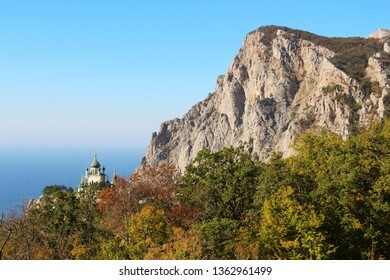 Crimea. 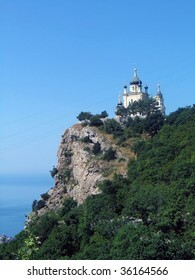 Built in 1892. 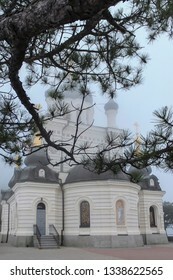 Pine branch with dark green needles closes the church building from above. 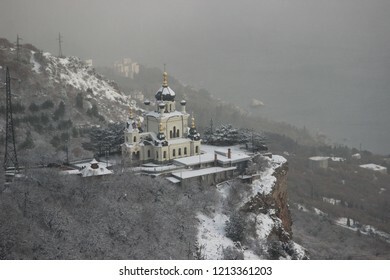 Domes of Orthodox Foros Church are covered with white fog. 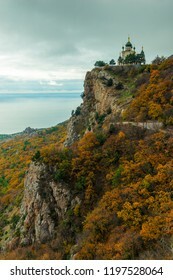 Romantic picture of autumn Crimea. 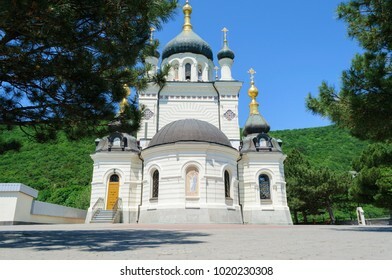 FOROS, CRIMEA, RUSSIA - May 05, 2017 Interior of Church of Christ's Resurrection in Foros. 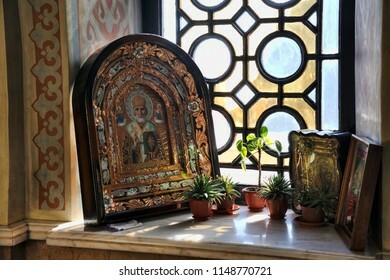 Richly decorated old icon of St. Nicholas with other icons and flowers on window sill. 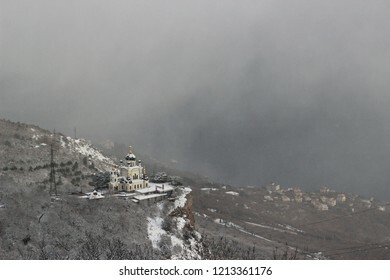 Crimea, Foros - December 2015: fog surrounded the church on a cliff.Church of the Resurrection of Christ in Foros. 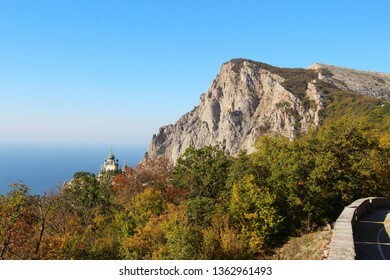 Crimea. 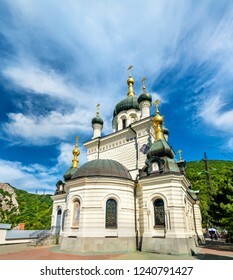 Built in 1892. 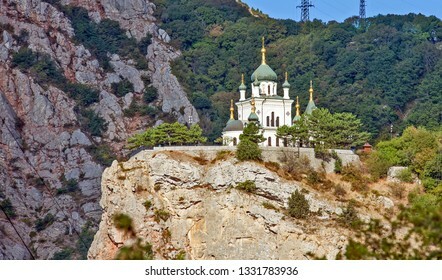 Church in Foros (Ukraine). 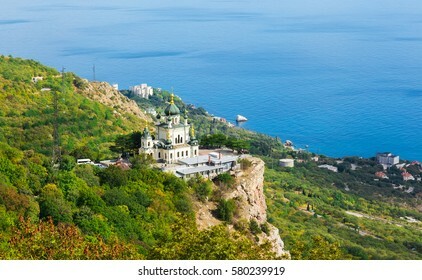 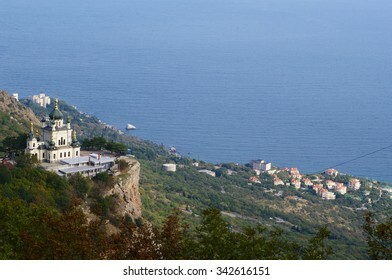 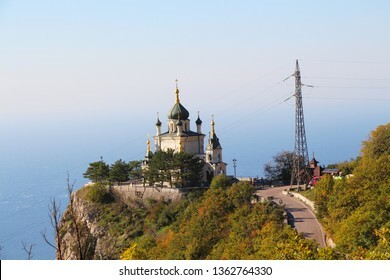 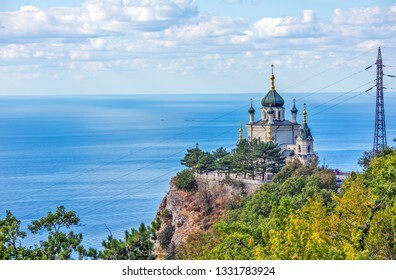 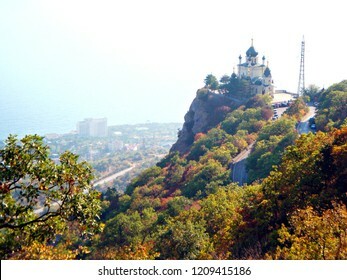 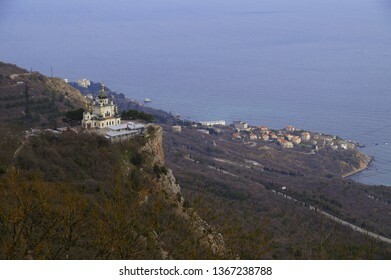 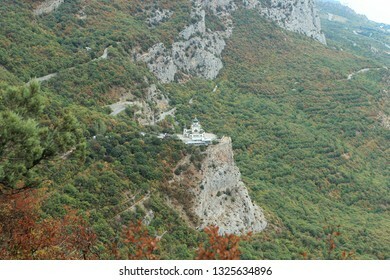 The church on the 400 m high rock at Foros looks straight out over the Black Sea. 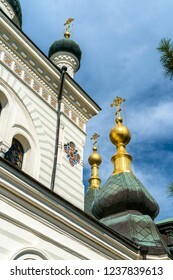 Church of Revival Christ's. 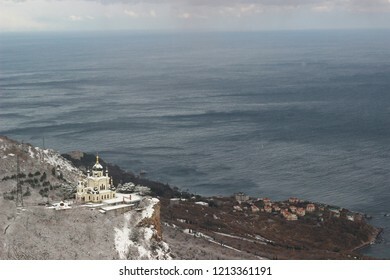 Foros. 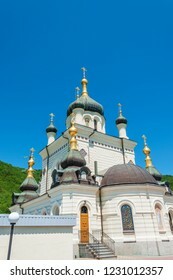 Church of the Resurrection of Christ in Foros. 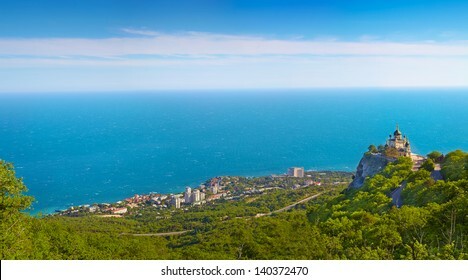 Crimea. 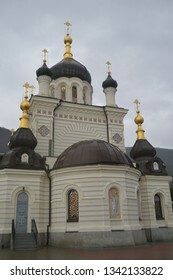 Built in 1892. 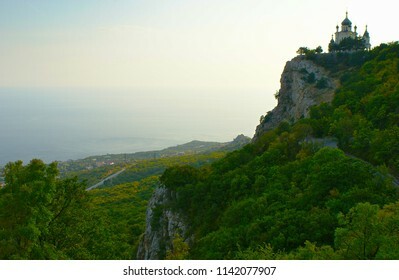 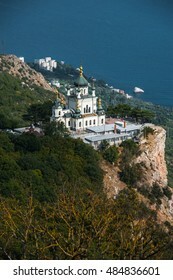 View of the Southern Coast of Crimea from the observation deck of the Orthodox Church in Foros. 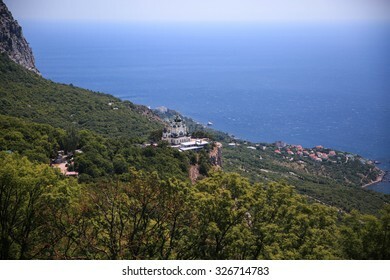 Houses and hotels along the coast and mountains with evergreen and deciduous trees and shrubs. 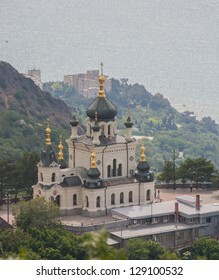 View of Foros Church, also known as The Church of Christ's Resurrection. 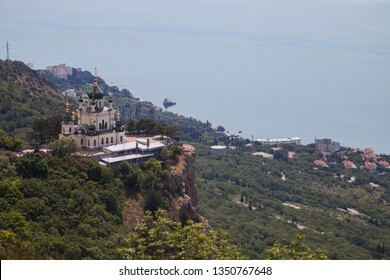 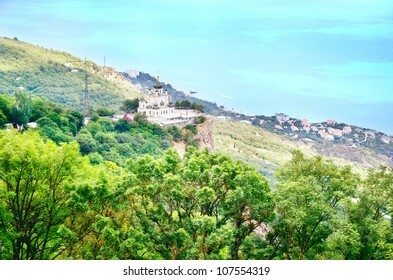 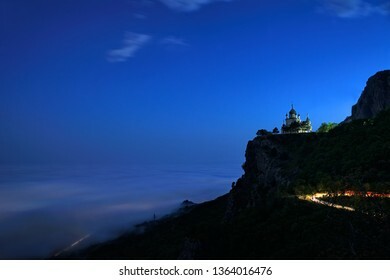 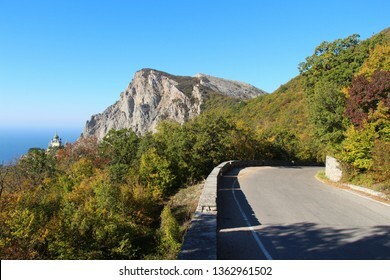 It is known primarily for its scenic location, overlooking the Black Sea littoral from a 400-metre cliff near Baidarsky Pass. 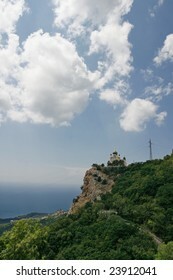 Church near the village of Foros. 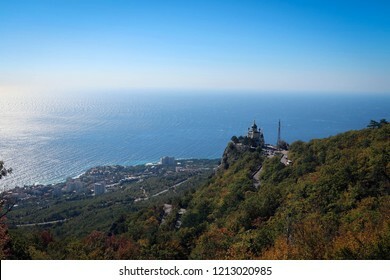 Crimea. 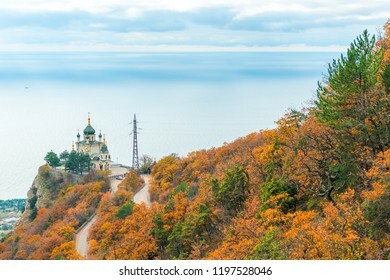 Travel religion nature background. 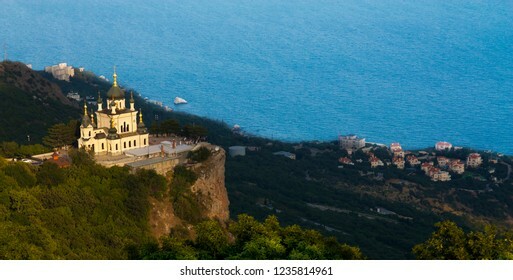 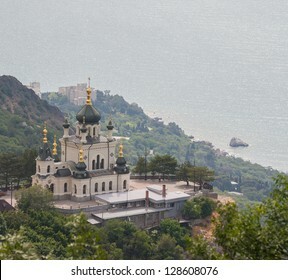 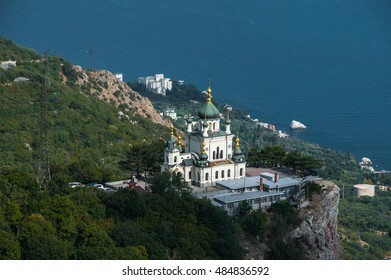 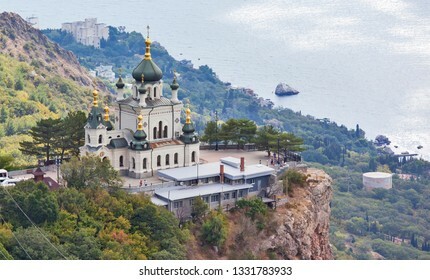 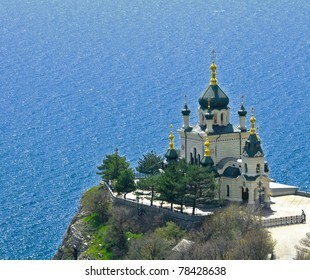 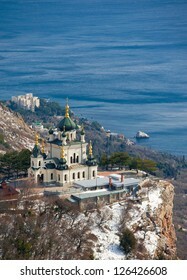 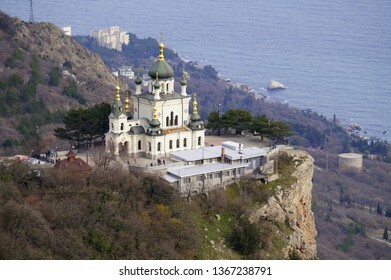 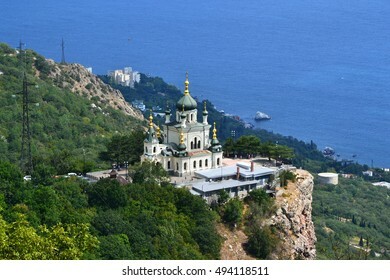 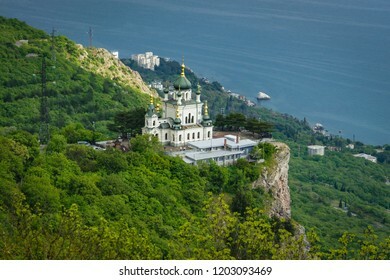 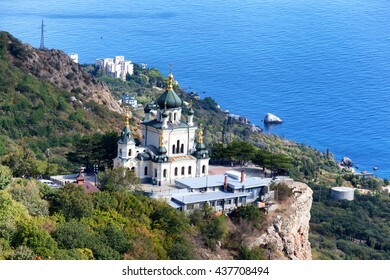 Church marble of christ resurrection on coast of black sea in beautiful Foros of Crimea in Ukraine. 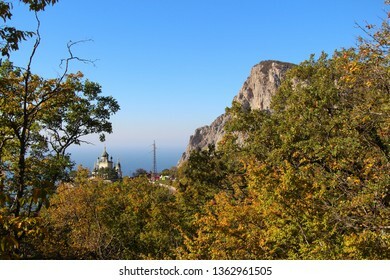 Landscape on Black Sea coast in Crimea. 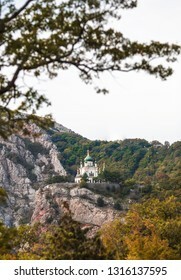 Church Voskreseniya Khristova at top of rocky cliff the Red Rock against light sky and sea in September evening. 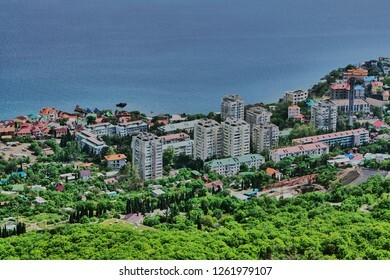 Green forest and the Foros village on coast. 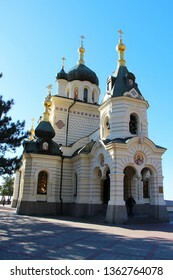 Church of the Resurrection. 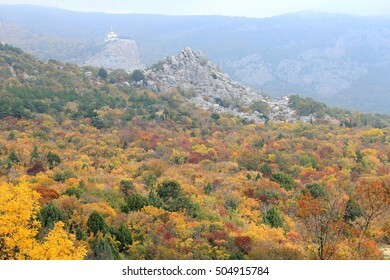 Foros. 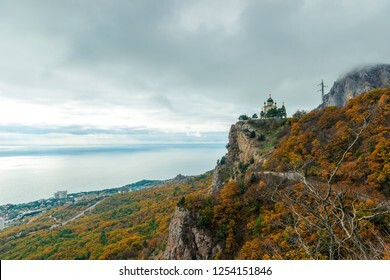 Crimea. 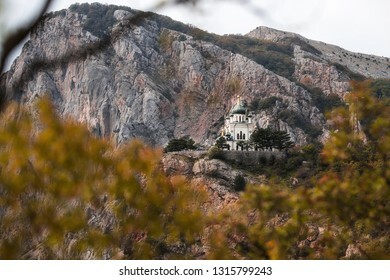 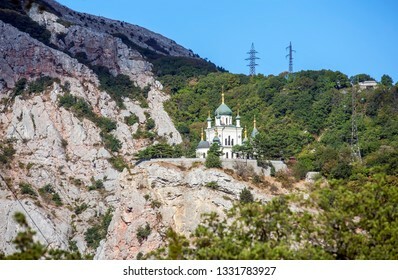 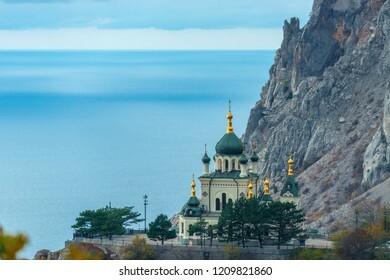 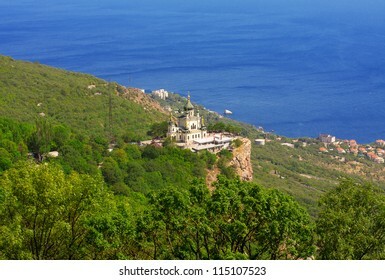 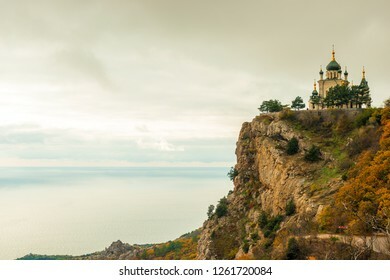 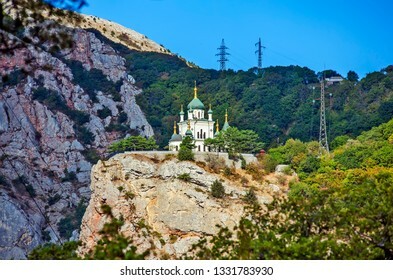 Crimea, Russia -13 May, 2015: Church in Foros built in 1892 on a steep mountain cliff. 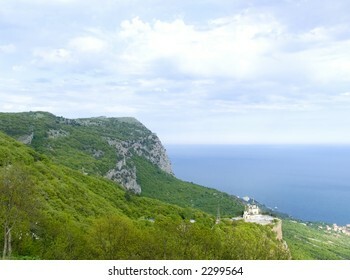 Green mountainside and blue Black Sea. 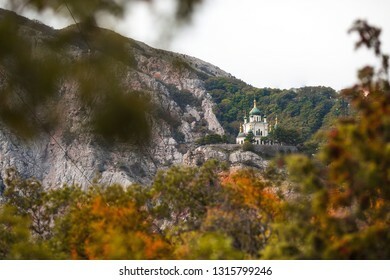 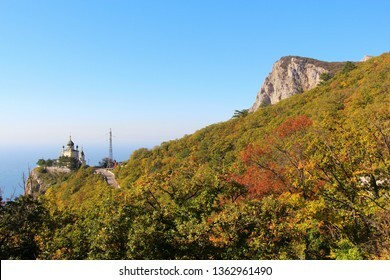 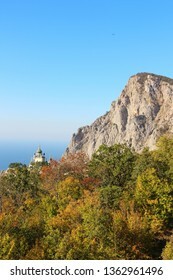 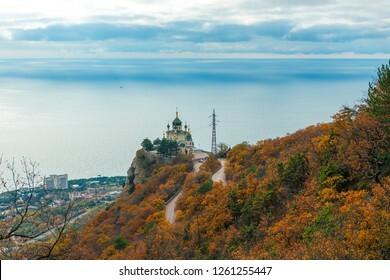 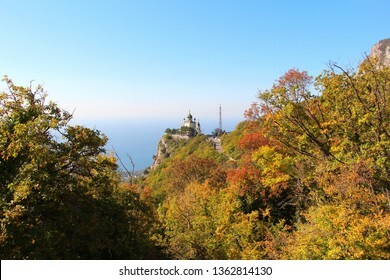 Autumn landscape, view of Foros church in Crimea against the background of the Black Sea, Russia. 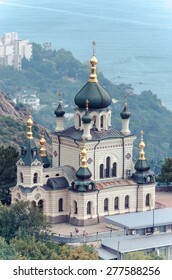 Temple of the Resurrection of Christ. 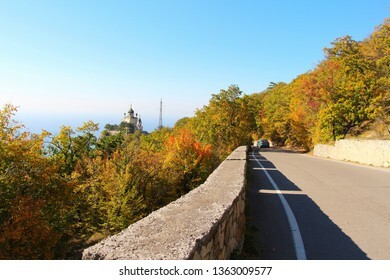 Over 265,706,038 royalty-free images with 1,795,528 new stock images added weekly.